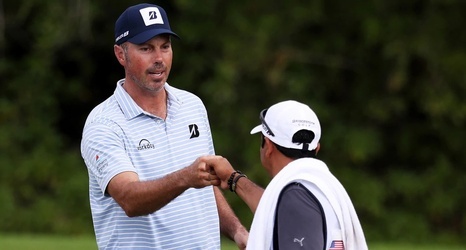 Three months later, “El Tucan” still harbors some strong feelings toward Matt Kuchar. Speaking through a translator to Golf.com, David Ortiz – the Mexican caddie known as “El Tucan” – said that he was paid $5,000 by Kuchar for a week’s worth of work last November at the Mayakoba Classic. That week Kuchar won for the first time in more than four years, a $1,296,000 windfall that pushed his career earnings over $46 million. Ortiz told Golf.com that their arrangement was for him to be paid $3,000 for the week, with an additional (and unspecified) percentage of Kuchar’s winnings.